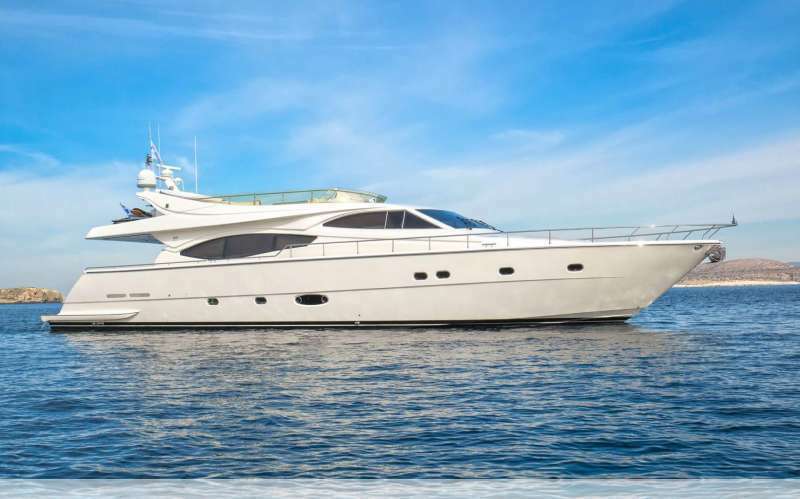 The 'Ade Yia' is a modern, luxury motor yacht, built in 2014 by Ferretti and refitted in 2016. 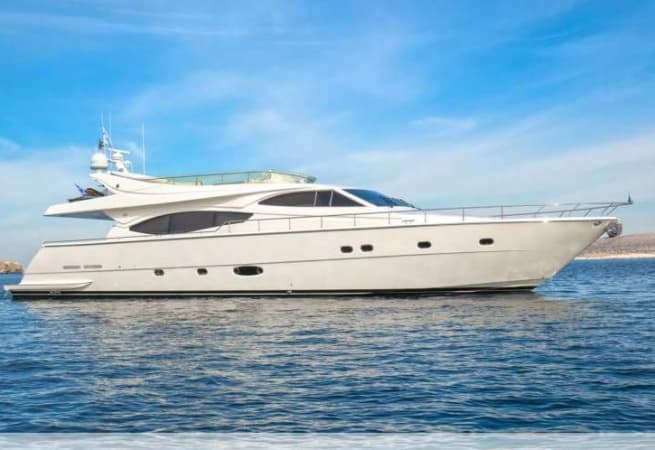 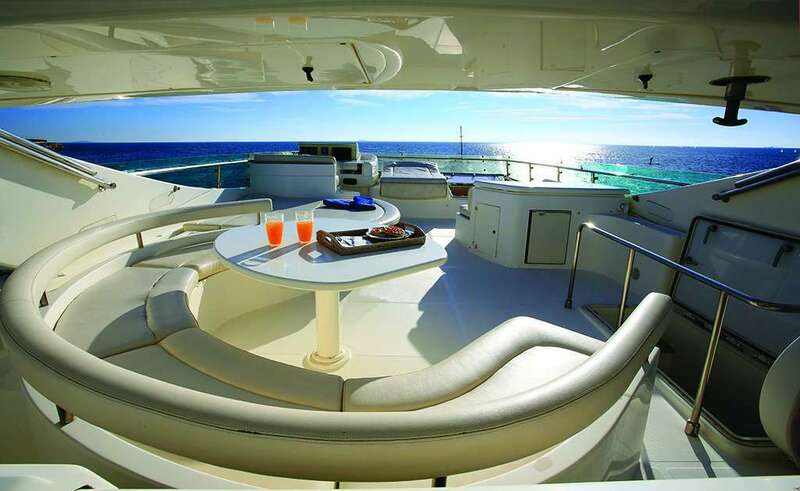 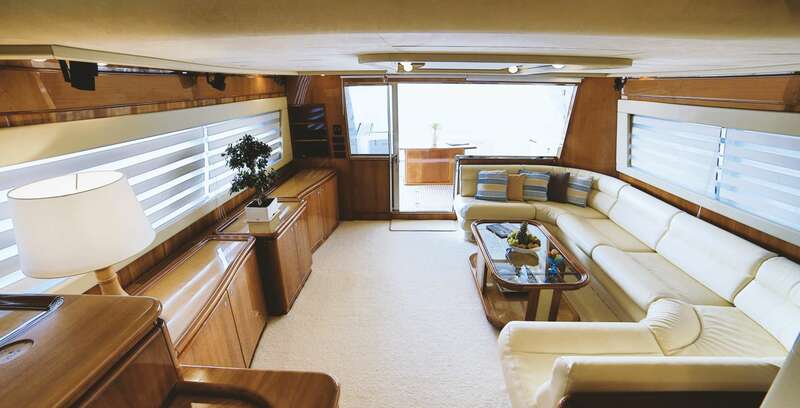 She is available for charters from either Mykonos or Athens. 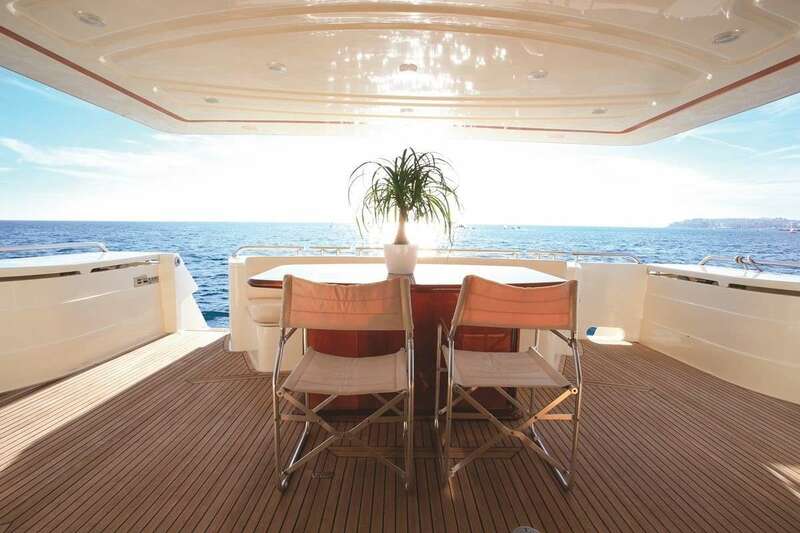 Prices start at €22,680 per week during the low season, and €28,000 during the high season. 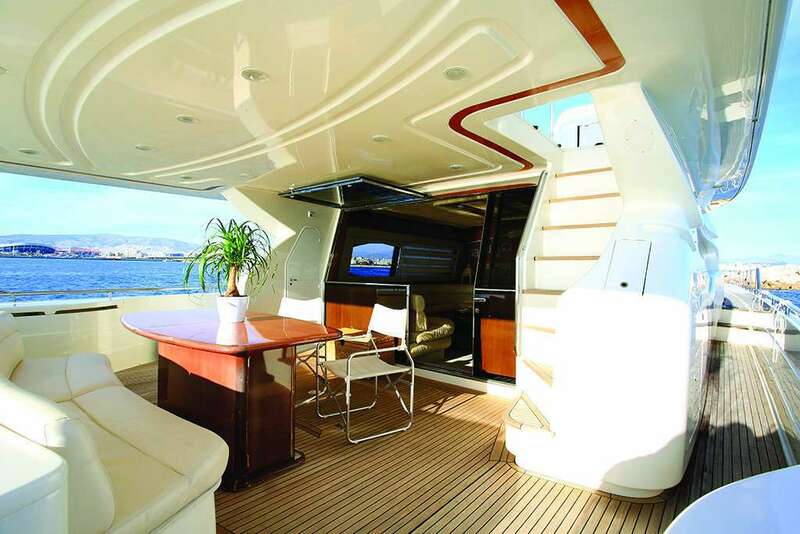 The 'Ade Yia' comes with a full compliment of 2 crew, and an optional chef. 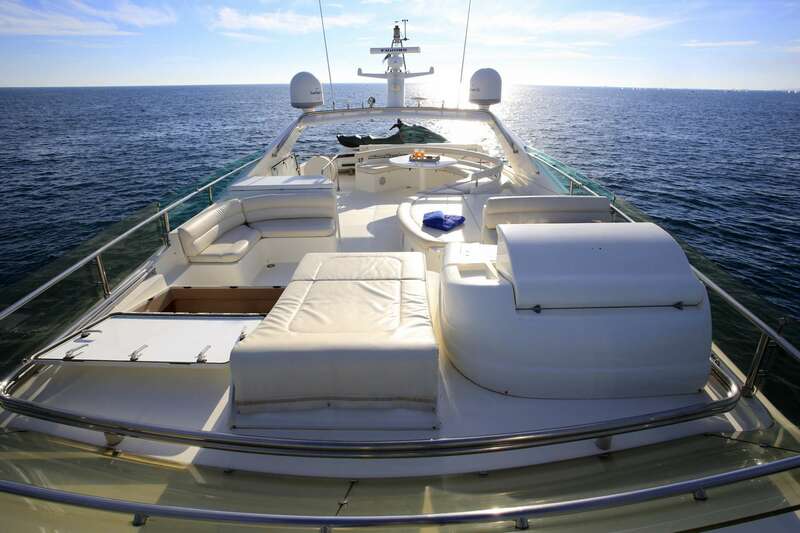 A swimming platform can be found at the stern. 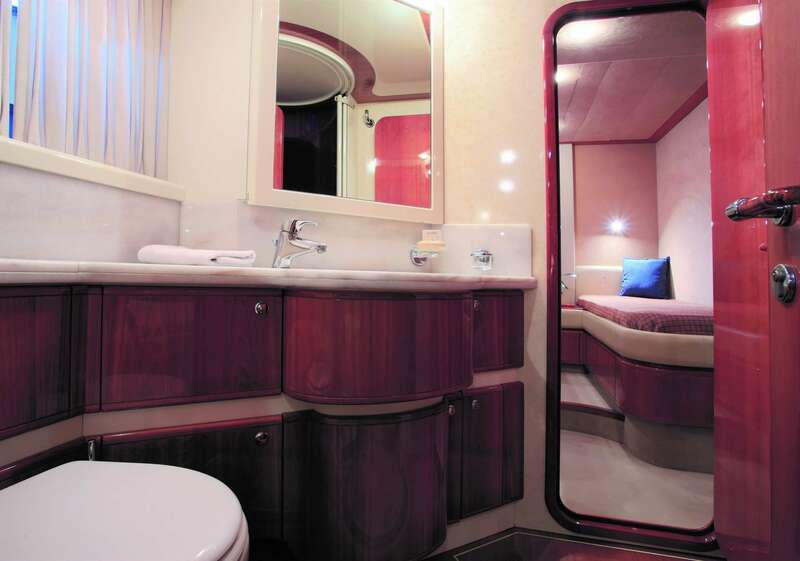 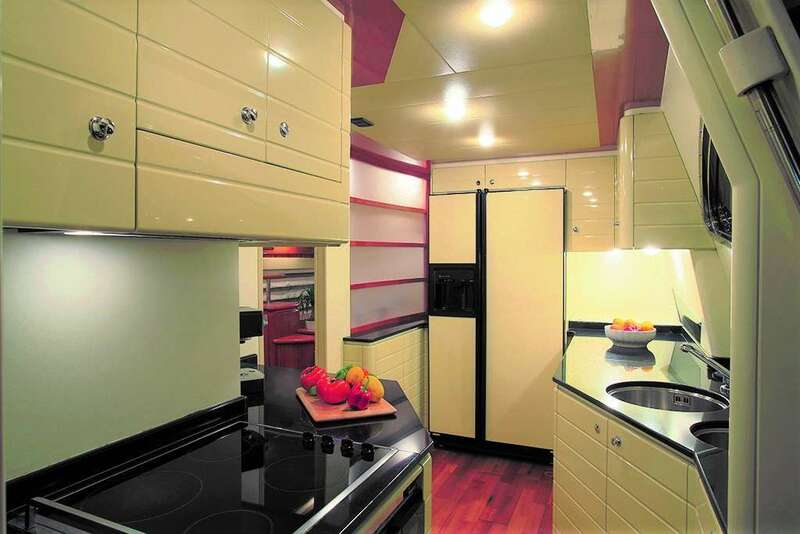 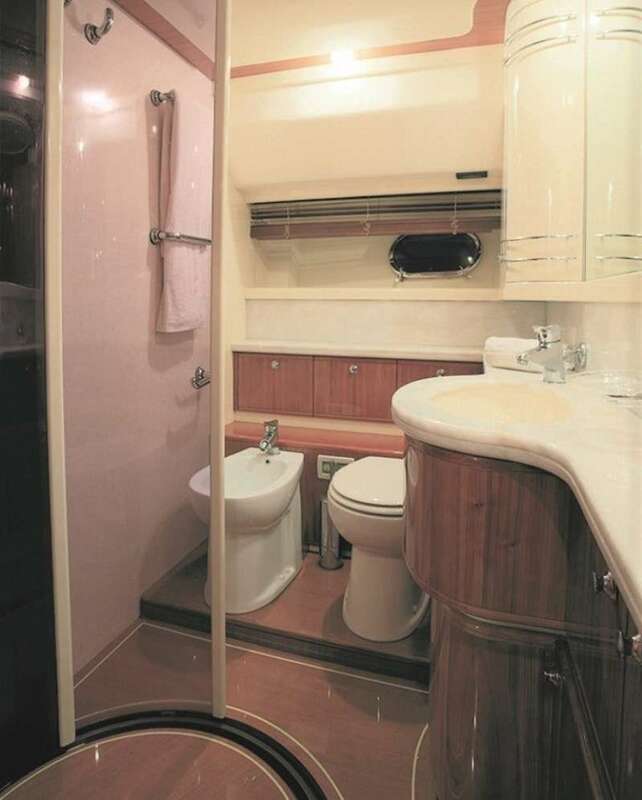 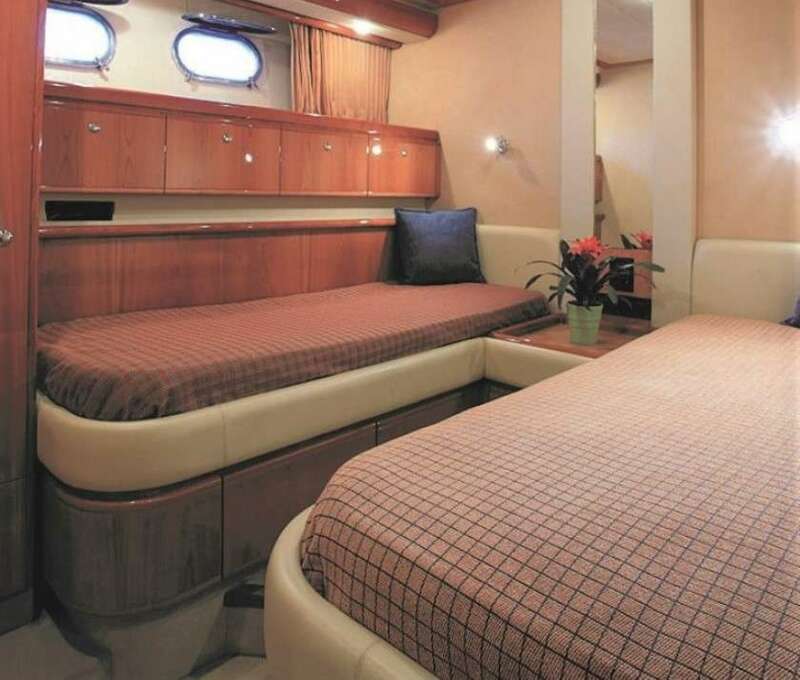 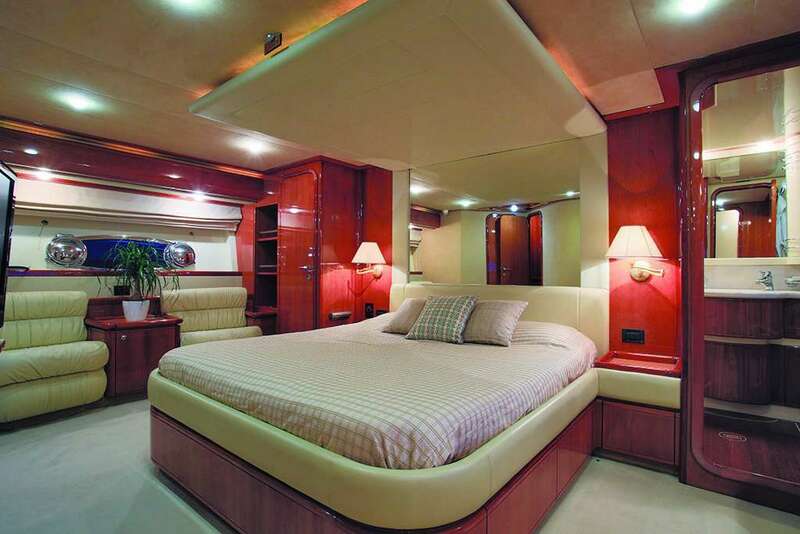 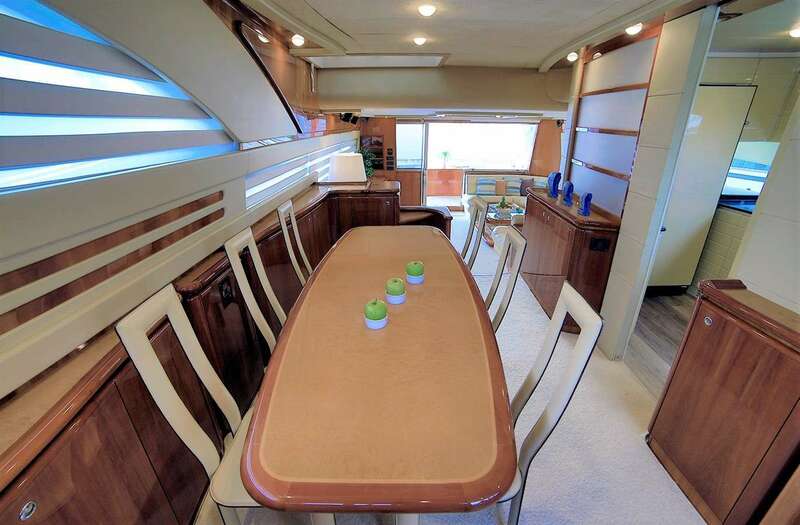 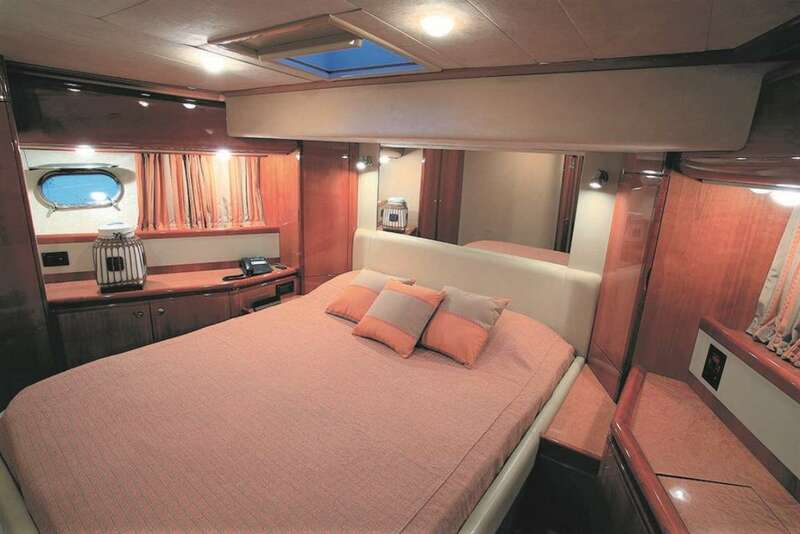 Sleeping arrangements consist of four ensuite cabins (2 doubles and 2 twins).